Do you love getting your hands dirty? Do you prefer to work on your Toyota yourself here in Yorkville? We understand the feeling and that's why we have a fully stocked parts inventory for you to find just what you're looking for with your next upgrade or repair. What makes this even better is that we offer specials, coupons, and savings all year long on the parts and accessories that you need. Stop in to see our vast inventory of accessories for your Toyota! See your Parts Advisor for details. Please present coupon at time of write up. Toyota vehicles only. Cannot be combined with any other offer. See your Parts Consultant for details. May not be combined with any other offer. May not be redeemed for cash. Please present coupon at time of write up. off our already low regular price! See your Parts Advisor for details. May not be combined with any other offer. Please present coupon at time of write up. Take $10 off per pair! See service advisor for details. Price plus tax & disposal fee. Must present coupon at time of write up to receive discount. One coupon per customer. May not be combined with any other offer. Not applicable to prior purchase. Not responsible for typographical errors or pricing errors. Toyota vehicles only. 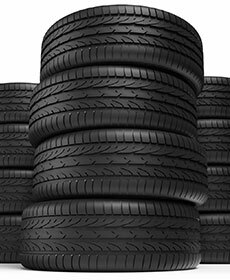 Found a better tire price? We'll match it! Simply bring in a printed quote from a local competitor within 30 days, and we'll refund you the difference. It can be tempting to shop at any old parts store for what you need, but you can only get the genuine Toyota parts you need right here at Steet Toyota. 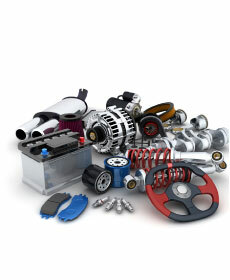 Thanks to our parts specials you can easily save money, right here close to home in Rome. 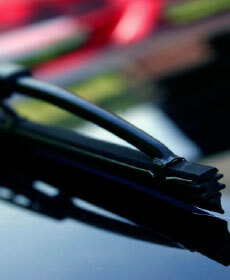 We have a full inventory of parts like wiper blades, tires, batteries, and everything in between. We also have available accessories like tonneau covers for your Tacoma or Tundra, rubber floor mats, cargo boxes, and more to make your life here in Whitesboro even better in your Toyota. We know how tempting it is to shop with after-market parts dealers when it comes to your car, truck, or SUV needs in Herkimer NY, but you should consider that you're getting cheaper and lower-quality materials, the cost savings comes at a price of quality, meaning that those parts can fail early or cause unnecessary damage in the future. You'll save big when you shop our parts department, in future repairs and of course up front savings with our parts specials here in Yorkville. Shop online, or come by and see us today and we'll help you find just what you're looking for with your Toyota car, truck, or SUV in New York.